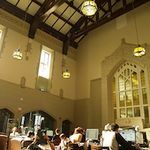 Located on level 3 of the Irving K. Barber Learning Centre, the Chapman Learning Commons includes multimedia workstations with advanced software, flatbed scanners, and a variety of equipment for loan. 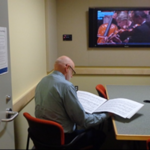 Located in the Music, Art & Architecture Library on level 3 of the Irving K Barber Learning Centre, the Library has three acoustically buffered multimedia rooms available to be booked online. 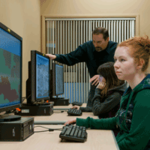 Koerner Library’s lab featuring dedicated workstations and software for Geographical Information Systems and statistics project work. 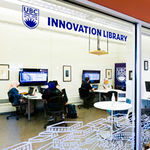 Located in downtown Kelowna, the Innovation Library provides convenient access to Library resources on three laptops, accessible to UBC users and community researchers.